It is a season to visit the misty hills along with rains, and a walk through the forest. If you are into trekking, this is the perfect post for you. There are many trekking places around Mumbai and Pune, but we have listed down the best 6 destinations that you should definitely visit. Escape the traffic of city life and go trekking in places around Mumbai and Pune. 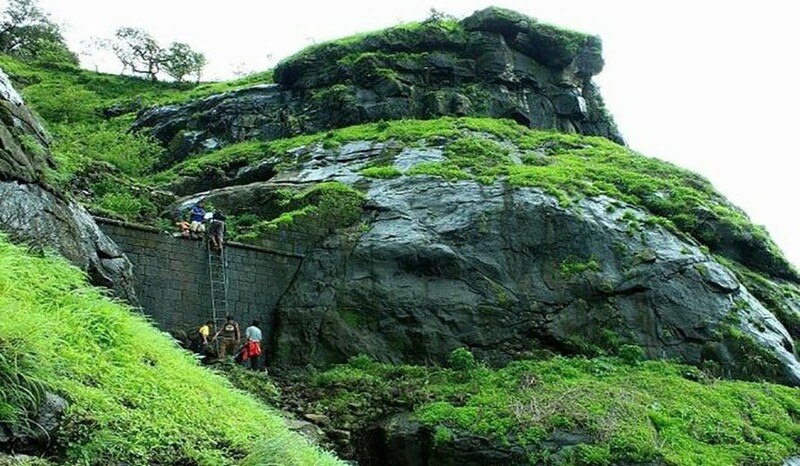 Kothaligad (also called Kotligad or Kothligad) is a very good option for one day trek near Mumbai. Kothaligad is a small fort situated to the east of Karjat near Karjat-Murbad Road. Moreover, because of its vicinity to Peth village at its base, it is also known as the Fort of Peth. Small in height and easy to climb – this fort is famous for adventure in Karjat area. Rajmachi is one of the prominent historical forts in the rocky hills of Sahyadri mountains. This place can be reached by 2 ways, one from Kondivade village near Karjat, while the other route is from Lonavala. Surrounded by greenery Rajmachi is a magnificent location for trekking, hiking, site seeing, camping and many more adventures. However, during the rainy season, this region looks more beautiful with streams, silvery waterfalls, lush green forests, and meadows. Vikatgad is an antique fort situated near Neral in Maharashtra. Popular for one-day monsoon treks this place is at a distance of 3.5 km from Neral railway station. The fort is also called Peb since it derives its name from the Goddess Pebi. But there is a dense forest on the way to the Peb fort. Historical references indicate that Shivaji Maharaj used the caves on the fort for various activities during his ruling days. Tikona is a hill fort located near Kamshet [Maval region] in Maharashtra. It is located around 120 kms from Mumbai and 50 kms from Pune. With a height of 3500 feet from sea level, the hill is pyramidal in shape. Famous for trekking this fort offers breathtaking views of the entire region including the forts of Lohagad, Tung, Visapur and Pawna Lake. 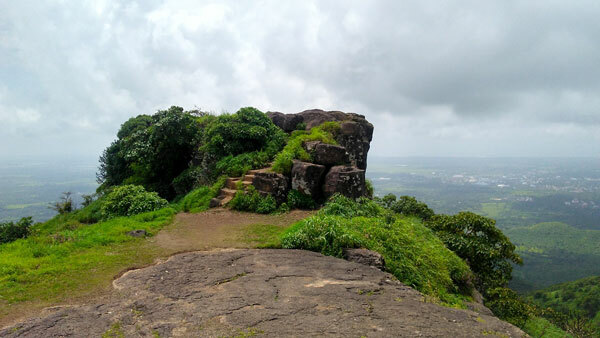 The best time to enjoy the real beauty of nature from top of the fort is the monsoon season. Visapur Fort is a very popular excursion destination for adventure mongers as well as nature lovers. This enormous fort was built as a twin of the famous Lohagad fort, but at a higher elevation and covering a larger surface area. Both these forts are indeed a treat for all- history buff enthusiasts. Easily accessible from Mumbai and Pune a trek to these forts is worth the time and money spent. Kaldurg fort is based in Palghar, around 1500 feet above sea level. The fort summit gives a panoramic view of Varkut and Navli villages, the Arabian Sea and the Surya River to the east. You can see palm-lined beaches too! Take a 360° rotation and you will see Devkhop Lake to complete the orientation from the top. The black rocks are the highlight of Kaldurg. Its overall a very beautiful and magnificent trekking point in the lap of nature.